The Obama/ Biden campaign sued the state of Ohio over changes in Ohio law that took away the three days of voting for most people, but made exceptions for military personnel and Ohioans living overseas. The 9th Circuit Cout of Appeals ruled that Ohio must make early voting available (pdf) to all Ohio voters and Ohio’s Republican Secretary of State, John Husted, made an emergency appeal to the Supreme Court. The Supreme Court weighed in this afternoon declining to block early voting. The Supreme Court is siding with Democrats in refusing to block early voting in the battleground state of Ohio. The court on Tuesday refused a Republican request to get involved in a dispute over early voting in the state on the three days before Election Day. This is not just a win for Democrats, it is a victory for democracy. Dean Baker: The National Debt and Our Children: How Dumb Does Washington Think We Are? While much of the country is focused on the presidential race, the Wall Street gang is waging a different battle; they are preparing an assault on Social Security and Medicare. This attack is not exactly secret. There have been a number of pieces on this corporate-backed campaign in the media over the last few months, but the drive is nonetheless taking place behind closed doors. The corporate honchos are not expecting to convince the public that we should support cuts to Social Security and Medicare. They know this is a hopeless task. Huge majorities of people across the political spectrum strongly support these programs. Instead they hope that they can use their power of persuasion, coupled with the power of campaign contributions and the power of high-paying jobs for defeated members of Congress, to get Congress to approve large cuts in Social Security, Medicare, Medicaid and other key programs. This is the plan for a grand bargain that the corporate chieftains hope can be struck in the lame duck Congress. Matt Taibbi famously dubbed Goldman “a great vampire squid wrapped around the face of humanity, relentlessly jamming its blood funnel into anything that smells like money.” Taibbi knew his metaphor worked a deep injustice on Vampyroteuthis infernalis, a small animal that feeds on carrion and excrement (I will let the reader explore the metaphorical possibilities). Goldman Sachs’ leaders were always secretly flattered by Taibbi’s metaphor. They like being thought of as hyper-aggressive and intimidating. Saying that an investment banker’s goal is to make money is to state the obvious and causes no embarrassment. The news flash is that Goldman Sachs has revealed her new, softer side. She has become Ms. Good in the Sack and she wants us all to know that she has feelings and she is terribly hurt by the way she is being taken for granted, treated coldly, and made fun of as a “fat” feline. The cruelest blow is that Ms. Good in the Sack suffered these indignities at the hands of the handsome new guy who escorted her to the presidential ball. Her BFF, the tall, dark and handsome guy who was exotic without seeming too dangerous — the kind of guy her dad always warned her never to date — has betrayed her. No sooner had she gotten in a serious relationship with Obama that helped him climb to the top of the social order than she saw him flirting with that skank — Ms. Liberal. “Some people,” my mother used to say, “are just no damned good.” This was from somebody who rarely used bad language around us, and it was usually said with an air of bemused resignation rather than white-hot rage. I’ve always leaned a little more toward the possibility of redemption myself. But the more I learn about Wall Street, the more I see the wisdom in Mom’s words. Then, once they were safely ensconced back on their plutocratic perch and raking in more unearned wealth, they quickly deployed huge amounts of that money — to subvert our political process. That way they can loosen regulations on their own industry while forcing us to accept an austerity program like the “Simpson-Bowles” plan, which imposes even more hardship on the majority while offering even more tax breaks to people like Morgan Stanley’s executives. I understand where Mitt Romney was coming from when he said last week that Americans without health insurance don’t have to worry about dying at home. I have no reason to believe that Romney saw anything wrong with what he said. In fact, I probably would have said the same thing back when I was still a health insurance PR guy and trying to convince folks that the problem of the uninsured wasn’t really such a big deal. A candidate now needs to be up on Snooki as well as Bibi, and an up-to-the-minute playlist doesn’t hurt. To the clamor for administration records concerning embassy security, I’d like to add my own request. I hereby subpoena President Obama’s iPod. Nicki Minaj? For real? On Friday the president claimed that her voice was one of those occasionally streaming through his ear buds. I don’t buy it. For starters, she once rapped, facetiously or not, that she was voting for Mitt Romney and that Obama was a “lazy” noun-that-I-can’t-print-in-this-newspaper. On top of which, the president strikes me as more of an Adele guy, rolling in the deep of a post-debate funk. But he’d been asked to weigh in on Minaj’s feud with Mariah Carey, and after praising Carey for fund-raising help, he hastened to throw some love in her foe’s direction. While Mitt Romney is on multiple sides of a single issue, Obama is on all sides of iTunes. The first is to channel the state’s scarce resources in their own direction. This is the absurdity of Mitt Romney’s comment about the “47 percent” who are “dependent upon government.” The reality is that it is those at the top, particularly the tippy-top, of the economic pyramid who have been most effective at capturing government support – and at getting others to pay for it. This Day in History: October 16 October 16 is the 289th day of the year (290th in leap years) in the Gregorian calendar. There are 76 days remaining until the end of the year. On this day in 1916, Margaret Sanger opened a family planning and birth control clinic at 46 Amboy St. in the Brownsville neighborhood of Brooklyn, the first of its kind in the United States. It was raided 9 days later by the police. She served 30 days in prison. An initial appeal was rejected but in 1918 an opinion written by Judge Frederick E. Crane of the New York Court of Appeals allowed doctors to prescribe contraception. This was the beginning of Planned Parenthood Federation of America. 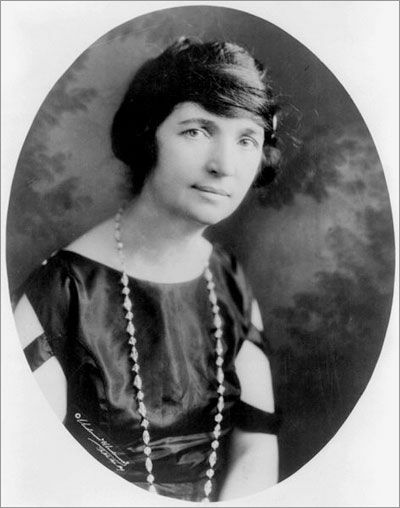 Sanger founded the American Birth Control League in 1921, which changed its name to Planned Parenthood Federation of America, Inc. in 1942. Since then, it has grown to 850 clinic locations in the United States, with a total budget of approximately US$1 billion, and provides an array of services to over three million people. Dealing with sexuality, the organization is often a center of controversy in the United States. The organization’s status as the country’s leading provider of surgical abortions has put it in the forefront of national debate over the issue. Planned Parenthood has also been a party in numerous Supreme Court cases. Today’s focus will be on Justice Party candidate, Rocky Anderson. Ross Carl “Rocky” Anderson (born September 9, 1951) served two terms as the 33rd mayor of Salt Lake City, Utah, between 2000 and 2008. He is the Executive Director of High Road for Human Rights. Prior to serving as Mayor, he practiced law for 21 years in Salt Lake City, during which time he was listed in Best Lawyers in America, was rated A-V (highest rating) by Martindale-Hubbell, served as Chair of the Utah State Bar Litigation Section and was Editor-in-Chief of, and a contributor to, Voir Dire legal journal. As mayor, Anderson rose to nationwide prominence as a champion of several national and international causes, including climate protection, immigration reform, restorative criminal justice, LGBT rights, and an end to the “war on drugs”. Before and after the invasion by the U.S. of Iraq in 2003, Anderson was a leading opponent of the invasion and occupation of Iraq and related human rights abuses. Anderson was the only mayor of a major U.S. city who advocated for the impeachment of President George W. Bush, which he did in many venues throughout the United States. Anderson’s work and advocacy led to local, national, and international recognition in numerous spheres, including being named by Business Week as one of the top twenty activists in the world on climate change, serving on the Newsweek Global Environmental Leadership Advisory Board, and being recognised by the Human Rights Campaign as one of the top ten straight advocates in the United States for LGBT equality. He has also received numerous awards for his work, including the EPA Climate Protection Award, the Sierra Club Distinguished Service Award, the Respect the Earth Planet Defender Award, the National Association of Hispanic Publications Presidential Award, The Drug Policy Alliance Richard J. Dennis Drugpeace Award, the Progressive Democrats of America Spine Award, the League of United Latin American Citizens Profile in Courage Award, the Bill of Rights Defense Committee Patriot Award, the Code Pink (Salt Lake City) Pink Star honor, the Morehouse University Gandhi, King, Ikeda Award, and the World Leadership Award for environmental programs. Explaining the purpose of the new Justice Party, Anderson says his campaign is different because the two primary candidates are ignoring the country’s most significant challenges. The candidate said he wants the White House to be held accountable for its aerial drone program, which Anderson says has killed “hundreds if not thousands of innocent men, women and children,” and tainted the United States’ reputation for global security. The Giants are wisely going with one of their 3 playoff winners tonight and not a moment too soon. It is certainly possible (as I will be telling Yankee fans tomorrow) to overcome a 2 game home losing streak, especially in a longer series where you don’t immediately face road elimination, but it’s not a desirable position to be in if you can avoid it. The Cardinals can’t afford to be complacent. A split away is what you expect, however their Bullpen didn’t look overpowering by any means and they can’t expect a 6 run cushion every game. Tonight the Left Coasters will start Vogelsong (14 – 9, 3.37 ERA) who is as good as anyone in their rotation post season. They’ll face Carpenter (0 – 2, 3.71 ERA) who allowed the Nats 7 hits in their Game 3 8 – 0 defeat. Carpenter is much nastier than those figures suggest because he can hit too and has a great record in the playoffs. Then there is the fact that basically no team has demonstrated much Home Field advantage, even in the Regular Season. On the positive side Tim Lincecum is set to start Game 4 even after last night’s relief appearance unless he gets called for relief tonight or in Busch Stadium Wednesday. Since I have a feeling we’ll be seeing lots more of the Rally Squirrel here’s the 2010 official hype video again. No, they don’t have a new one as far as I can tell, but my searches are all messed up by Sunday’s ‘9ers/Giants game. Senior League Games will be carried on Faux.